“Probably, yes, answered Coach. 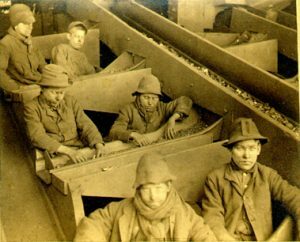 “Way back when young boys, as young as nine years old maybe, went to work in the coal mines. Some were messengers, others worked the air doors – nippers they called them. They would open and close doors so that air always made it into the mine. 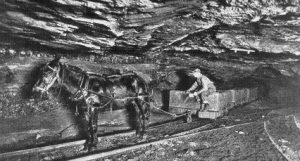 Some worked with the mules which pulled the wagons of coal out of the mines. 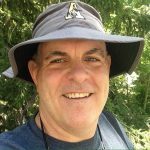 Ned M Campbell is a West Point graduate and former U.S. Army Officer, who also teaches United States history at a public high school in Brooklyn, NY. He is a published writer, and a volunteer contributor to “Can Do” Street blog for kids and parents. In addition, he is the voice of Coach Campbell in the “Can Do” Street programs. The “Can Dos” had been looking forward to the camp overnight for weeks. They were ready to sleep outdoors, in pup tents, just like the big kids do. Well, not exactly like the big kids do. Their camp overnight was going to be in the small park behind the “Can Do” Street Community Center, not in the woods. But still, it would be dark and they would have a camp fire and sit around toasting marshmallows and telling stories. Yep, that was the plan. Then came the rain. There went the outdoor overnight; in came the indoor camp overnight. Coach Campbell, who was in charge of the overnight, and a few of the camp counselors helped the “Can Dos” bring their gear indoors and set up their tents in the community center gym. The “Can Dos” were disappointed and complaining about their bad luck. Coach Campbell had them stop what they were doing and form a sitting circle, on the floor, in the middle of the gym. “Hey,” said Coach, “What is all the whining and complaining about? Are you going to let a little rain ruin a fun time with your friends”? Coach Campbell shook his head. He couldn’t believe what he was hearing! “I thought you were all “Can D0″ kids, kids who were positive and could make the best of things when they didn’t go exactly as planned. Doesn’t anyone have any ideas about how to have fun at an indoor camp overnight.”? Coach was pleased to see that most of the “Can Dos” were nodding in approval at Jay’s idea. With that, Bobby raised his hand and said, “We can use our flashlights to make hand puppet images on the wall. We can all focus our flashlights on the same place and each of us can take turns making a hand puppet on the wall.” There were more nods of approval. Coach Campbell laughed and answered,” We are going to play grab bag snack and trade.” The “Can Dos” all stared at him and Nellie called out,” How do you play that ?” Coach pulled a big bag out of his large camp bag and said, “I came prepared for a change in plans. I listened to the weather report this morning, then I went to the store and got a bunch of healthy, individual size snacks and put them in this bag. There are bags of air-popped corn, pretzels, 100 calorie oatmeal raisin cookies and other goodies. So, that is what they did; sat in a circle, grabbed and traded snacks, then ate them sharing camp fire stories and making hand puppets on the wall. Before they knew it, it was time for sleep. Coach and the counselors walked the “Can Dos” to the restrooms before they got into their tents for sleeping. Soon there was no more giggling or whispering. The “Can Dos” were asleep. The next morning, Coach called everyone into the camp circle and asked if the “Can Dos” had a good time at the camp overnight. They all nodded yes. 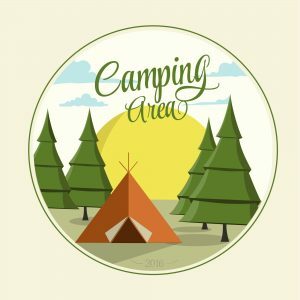 Then Maria raised her hand and said, “Not only was it fun, but there were no bugs, and no sounds from critters that live outdoors to scare us at the indoor camp!